An introduction on how to use compressors for mixing. Compression is one of the most discussed and misunderstood subjects, especially when used for mixing and mastering. Compression is the act of reducing the level of the sound whenever that level goes beyond certain point (called threshold). This reduces the difference between the loudest and quietest part of the sound allowing to raise the overall level. Typically compression is used on vocals to make sure the words can be understood clearly. It’s also used on all instrument to increase consistency between the quiet part and loud parts. Attack is how fast the compressor reacts to the sound, in other words how much time it takes for compressor to start turning the sound down. Release time is how long it will take the compressor to recover to the normal level. Ratio is how much the compressor pushes the sound down. i.e. 2:1 ratio means a signal exceeding the threshold by 2dBs will be pushed down to 1dB. A ratio of 4:1 means that if the level exceeds the threshold by 4 dBs then the sound will be down to 1 dBs, and so on. Threshold sets the level at which the compression effect starts engaging. Only when a level passes above the threshold, the sound will it be compressed. Different compressors have different sound. You can choose different compressors based on their character and tone. Transparent compressors such as Maselec MLA-2 or GML 8900 are very clean and even when they compress a lot, the sound does’t change in tone. They are ideal for Classical music, acoustic guitar, strings and piano. Colourful compressors such as Universal Audio 1176 or LA-2A or some tube type compressors can introduce a pleasant distortion (as they add higher harmonics) resulting in the sound becoming more “colourful” and personal. Which Compressor Do We Like To Use? 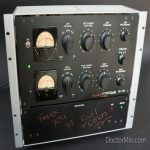 The most used compressor in Doctor Mix. Swiss army knife of the compressor. 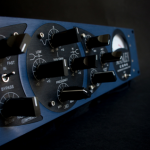 It is incredibly versatile, combining an analogue compressor circuit with digital controls. It is great for 1176 style compression, as it can be very fast, but can also be very slow. good for anything. Vocal, Bass, Acoustic Guitar, Drums and Snare.  Reference Channel Strip. Basic, warm and simple controls. Combines elements from some of the best Manley pieces. The compression is a gentle 3:1, building off of Manley ELOP technology. Check our detailed review here. Good for strings, pad, piano or something rich in harmonic. Warm and gentle. Not completely transparent, but it behaves like one yet delivering bit of beauty in the sound. Check our detailed review here. Typical Tube tech type compression, built off the same design as the famous CL 1B. Adds a lot of weight and body to sources. Vocal, Bass, keyboards and acoustic music. A very good all rounder. The Phoenix Mastering Plus delivers a full, incredible and classy sound. The low end sounds nice, warm and compact. Works best when it’s in moderate setting. Great for strings, orchestra and any programmed material requiring solid low end and grat texture. One of the most used compressors on the planet, being in the centre section of the much used SSL G Series consoles. Punchy, snappy, present, aggressive spanky sound, and is one of the most colourful compressor we have. Typically used on program material, but also fantastic for Drums. Check our detailed review here. Have you tried our mixing, mastering & production service yet? 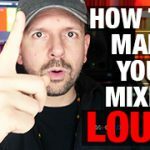 “The Official Guide To The Mixing” on Udemy. Get 20% Off from this link below.